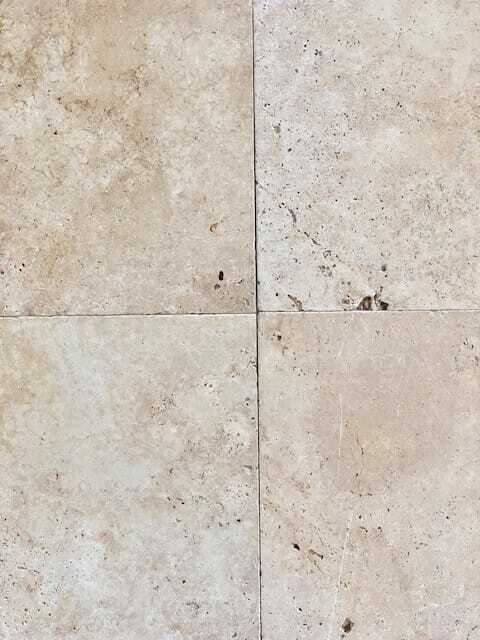 This is Ivory Travertine in a rectangular 610×406 sizing, in an Unfilled and Tumbled finish. Suitable for internal and external use, around pools and entertaining areas, as well as internal use. This product has natural air holing, which can be filled with grout if desired for easier maintenance.